Now this one to me was really interesting. This was taken at the street fair, mid day. The flames in the backgrounds are actually teh gaps in people legs as they are working. I desat the colours in this and came up with flames. I love it, I think it is really out of the box once you know the processing! Wow! Seriously? I'd have NEVER guessed until I read your notes! Definitely flames and Nero fiddles. What an artistic eye you have for both capture AND creation after the fact! Nero? Overall a very strong image. The silhouette of the hand and the frog end of the bow is an especially nice touch, that grabbed my interest before my eyes moved on into the rest of the image and somehow "anchors" the image for me in a way that adds a lot. 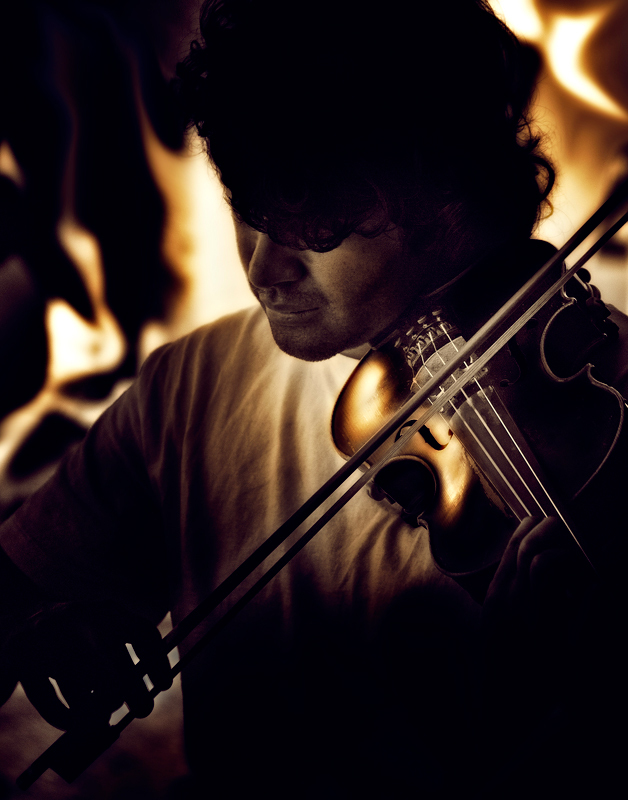 Love the processing on this, He looks like he is playing whilst in a fire. Oh! Well done! Not sure it's Fine Artish... but I'm not an expert. If this were in a different challenge (and I were voting, which I am not), I'd give it a 9. I really love it. Nicely composed and great looking background. Proudly hosted by Sargasso Networks. Current Server Time: 04/18/2019 04:25:33 PM EDT.